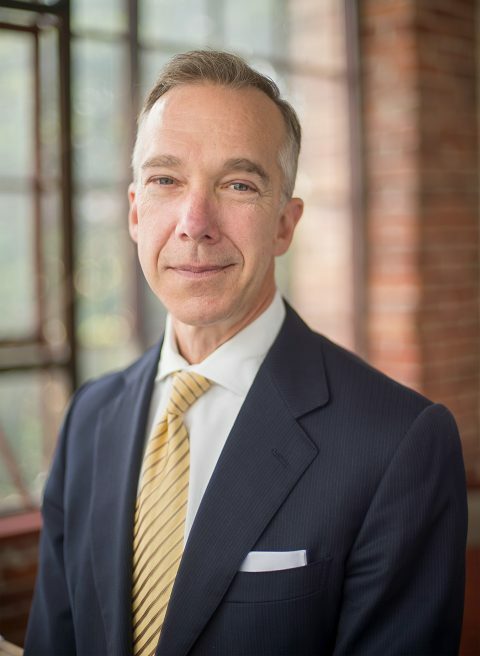 SAN FRANCISCO (Jan. 22, 2019) – The Saint Francis Foundation Board of Directors is pleased to announce the appointment of Mark A. Ryle as president of the organization, effective March 4, 2019. Saint Francis Foundation raises funds to enhance the ability of Dignity Health Saint Francis Memorial Hospital to provide leading-edge health care services in San Francisco, and awards grants to support its mission of improving health in the surrounding community. Ryle comes to Saint Francis Foundation from Project Open Hand, where he has served as chief executive officer since 2013. Ryle has a strong reputation in leadership, transformational change, business development, financial and strategic planning, community partnerships and board development. He has a proven track record of driving growth and putting organizations on a path toward sustainability through diversification of funding, production and delivery efficiencies, and in recruiting effective management teams. Prior to Project Open Hand, Ryle served as the health services director of Huckleberry Youth Programs in San Francisco. Ryle also founded and served as director of Fundacion Huesped/Proyecto La Calle, a Buenos Aires organization providing food and housing for street-engaged adolescents. Additionally, Ryle has extensive experience in finance and investment banking. Ryle holds a bachelor’s degree in Finance from the University of Texas, an M.A. in Social Work from the University of Chicago, and is a licensed clinical social worker (LCSW). He has also completed graduate certificate programs at Stanford Graduate School of Business and Harvard University Kennedy School of Public Policy. The Saint Francis Foundation engaged Koya Leadership Partners, a national executive search firm that specializes in leading searches exclusively for mission-driven clients, to conduct the national search for its next president. Founded in 1979, the Saint Francis Foundation is a San Francisco-based non-profit organization entrusted to provide philanthropic support to Saint Francis Memorial Hospital and the community the hospital serves. Through the legacy and continuing generosity of caring and compassionate donors, the Foundation is responsible for shepherding funds, reviewing and distributing grants with the goal of fostering outstanding health services to the local community. Since its establishment in 1905, Saint Francis Memorial Hospital has stood on the slopes of Nob Hill as pillar of strength and compassion for the community. Enduring two world wars and two earthquakes, the Hospital continues to contend with the economic forces affecting health care delivery and costs. The partnership between the Foundation and the Hospital is a critical path to help meet the challenges of the current environment and ensure that the vision of a community hospital, named for the City’s patron saint, is allowed to flourish. The Foundation and the Hospital work in coordination to deliver compassionate, high quality health services, while serving and advocating for our sisters and brothers who are poor and disenfranchised. The partnership extends to our neighbors in the surrounding community, to strive to improve their quality of life and thus their health. For more information, please visit saintfrancisfoundation.org. Dignity Health Saint Francis Memorial Hospital is an accredited, not-for-profit community hospital that has been providing exceptional healthcare in San Francisco for more than 100 years. Located atop Nob Hill, near downtown San Francisco, Saint Francis is home to the Bothin Burn Center, the largest in Northern California, and the Saint Francis Orthopedic and Sports Medicine Institute. With its close proximity to downtown San Francisco, Saint Francis also specializes in Occupational Health and Emergency Medicine. Saint Francis has been designated as a Blue Distinction Center for Spine and Hip/Knee Replacement Surgery and is a Certified Stroke Center by the Joint Commission. For more information, call (415) 353-6000 or visit DignityHealth.org/SaintFrancis.